The .357 SIG pistol cartridge is one of those unicorns, rarely seen in the wild, but when spotted ignites awe and marvel at its mere existence. Is .357 SIG dead? Or, perhaps a better question to ask would be, was it ever even alive? I'm sure I just upset tens and tens of our readers who carry guns chambered in this venerable self-defense cartridge, and for that I apologize. Before we can discuss whether it's dead, was ever alive, or what's going on with it, we have to figure out where it came from. Way back in the mid-90s, a team play by an ammo maker and a gun maker brought about something of beauty for the self-defense world. There is a lot of confusion out there about just what the .357 SIG is. Is it a short .357 magnum? Is it a .40 S&W sort of thing? Is it a 9mm? 10mm? Well, I guess to some degree it can be summed up as all of those things in one. Truth be told, it has similar dimensions to .40 S&W because it's a 10mm auto parent case necked down to accept a .355 bullet (which is a 9mm). And that said bullet reaches .357 Magnum velocities in a much smaller package. I've spoken to several law enforcement officers who have the strict preference for .357 Sig chambered guns because the ballistics are fantastic. Some of them have pointed out that if they ever needed to have extreme velocities on their side in a smaller package than can be had in 10mm guns, the best thing to have would be a Glock 33 in .357 Sig (or something similar). When would they need those velocities? On more than one occasion the police officer stated shooting through car doors as the reason why they needed a faster-moving bullet. 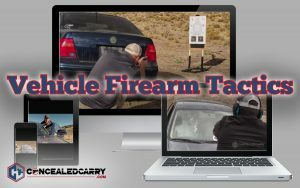 Learn more about shooting from within, around, and into a vehicle! Whether or not shooting through cars is a worthy reason to own one remains to be seen, but, the number of agencies issuing guns chambered in .357 Sig is dying. The known number of issuing agencies, however, is not known. But, it seems as if the main argument as to why they seem to be in decline in an official capacity is not because of a lack of effectiveness, but because .357 SIG is not cost efficient. In other words, it's just too much money. For those who belong to the cult following of this less than popular cartridge, there is never an excuse of whether or not the cost to effectiveness ratio is worth it. Of course it is. But, for those of us on the outside who are unwilling to part from our undying 9mm parabellum or .45 ACP self-defense cartridges, we'd never consider it. And that, my friends, is the main issue about why the .357 Sig was never really ever even born. It was never given a chance because it's been far too expensive for much too long. It never had a chance to catch on, even though, I believe, it is one of the most effective self-defense cartridges out there. Another thing that slows down the growth of this beautiful unicorn is the availability. I've only been able to find it in any real quantities in one local gun store. You can forget about seeing it in Wal Mart, but of course certain big box stores, like Cabela's have it, even though it ain't cheap. This limited availability helps to drive up the price, by the way, because it's a supply and demand sort of thing. That gun store knows that they're the only place in town selling it so they can put any price tag they want within reason and someone will come in and buy it. Is .357 SIG a dead case? No, I don't think it is, nor will it be completely dead. Sadly though, it hasn't really ever caught on largely enough to have any real success, even though success is warranted and its performance speaks for itself. We've had this discussion before, when we discussed whether or not 40 S&W was dead, so when you're done proving me wrong about how many of you own and carry guns chambered in .357 Sig, head on over there and check that one out. 9 Responses to What’s The Deal With .357 SIG? Is It Dead? If cost and availability of ammo are a concern, just go to AmmoSeek.com and do a search on the brand, type of ammo, or a host of other parameters. Looking at a low price for Sig Sauer brand ammo (other brands can be found at a lower price!) with lower cost shipping, there can be a significant difference in the price between 9mm and 357 Sig for FMJ rounds, but for JHP rounds the difference was $1.41 per box, or about 7 cents per round. That seems to me to be a small price to pay for the increased power of the 357 Sig round, which is 511 lb/ft of muzzle energy vs 374 lb/ft for the 9mm. If you want “more serious” ammunition, I was able to find Underwood’s Extreme Defender 90 grain roundfor a price difference of only $1.32 per box, which is about 6.6 cents per round, but you get a round that exits the muzzle at 1700 FPS with 578 lb/ft of energy versus 1400 FPS and 392 lb/ft for the 9 mm. That is a significant difference for less than seven cents per round! lgs had more selection of .357 sig jhp than they did .40 sw. and the price was identical per round. So I do carry a .357 Sig via Glock 33. For me, in Texas with the heat, I needed a small package with full power. With this 33, I get 10 rounds carry, and I carry a full 15 rd mag, so it has a ton of function. I’m not a LEO, so I only go through about 100 rounds a month for training, as this is not my favorite gun, but I can tell you it packs a HUGE punch (your hands get sore shooting this). I never considered a unicorn, but LOL I should have because back during the Obama ammo shortage, I was the only one who could find ammo in stock. I still think it’s the best defense round and I’ll keep carrying it. I nearly had the chance to use .357 SIG in a defensive situation a few years back. It was a scary adventure I don’t want to repeat. The thing is, my concealed carry was chambered in .357 SIG and that’s what I was carrying. I am in the same school as one of the other commenters. .357 SIG was still available and not astronomically priced during the ammo shortage of 2013-2015. The least expensive .357 SIG practice ammo is about the same price as mid-range .45 ACP. You can get a case of Speer Lawman .357 SIG for the same price as American Eagle or Winchester white box .45 ACP at several online retailers. A case of .357 SIG Speer Gold Dot is less expensive than a case of .45 ACP Federal Hi-Shok or HST. 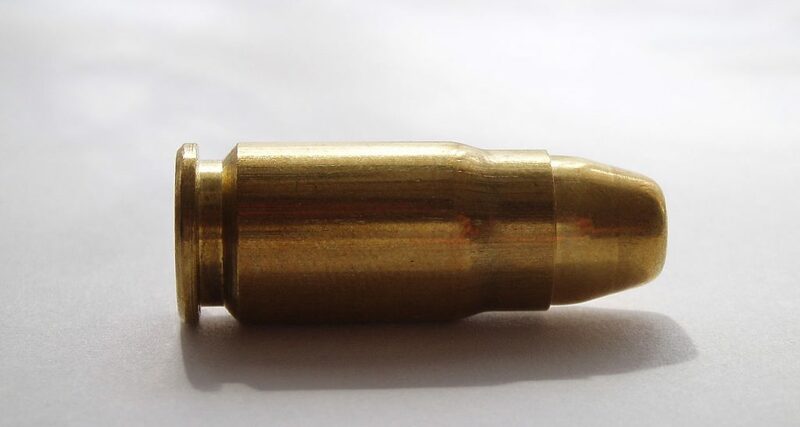 The .357 SIG Speer Gold Dot is also less expensive than Remington, Winchester, and a few other hollow point rounds I surveyed while writing this post. I don’t think it’s about price any longer with .357 SIG being the same or lower price as .45 ACP when bought online for someone who shoots .45 ACP. Price is mild factor if you shoot .40 S&W as the .357 SIG will be more expensive. Price is definitely a factor if you shoot 9 mm since the 9 mm is far less expensive than .357 SIG. Oddly enough, I can find .357 SIG practice and defensive ammo online that is less expensive than .38 Special from Federal, Remington, Winchester and other well-known brands. I think the lack of adoption is two-fold. 1. The snappy recoil makes it hard to shoot for less experienced shooters let alone new shooters. I’ve shot it in several all-day training classes and it does wear on you. 2. People are concerned that .357 SIG will become too expensive and/or unavailable if they only have 1 handgun and it’s in .357 SIG. Shooting .357 SIG will highlight weaknesses in your fundamentals, specifically weaknesses in your grip. I’ve got a case of Speer Gold Dot and a bunch of Lawman practice ammo so I’m spending the same or less money than if I was shooting .45 ACP. If you reload 357sig you’ll find that the bullet can be less expensive than 9mm: Montana Gold 124 fmj in 9mm is 9.5cents/per. Their 357sig 9.3cents. The brass cost depends on how/where you find it. I buy it used, but, like .40S&W, I find I get a lot of mileage out of brass in this caliber. 357sig uses a heavier powder charge than 9mm. I use it both for carry and competition; it feeds better than any other caliber I’ve shot. Ballistically it’s superior to most any other handgun cartridge at the range. Since I’m the only guy shooting it, no one wants the brass, so I usually go home with ever piece I shot. That’s good enough for me. Interesting article. It appears to be long on opinion and short on fact. I have been in Law Enforcement for 35 years, When I started my Department issued the 357 mag revolver. I like the 357 Sig because it has similar ballistics in a semi-auto hand gun. My Springfield XD chambered in the 357 Sig is flawless. I have a collection of firearms that include 13 calibers, the 357 Sig is a good one for every shooter/collector to have in the mix. American Eagle 45 ACP ammo is $15.99. Sperry Lawman 357 Sig is $15.99. This is 50 round box pricing today online. It is no longer cost prohibitive to own a. 357 Sig pistol. Plus it is fun swapping barrels in my Glock 32 and shooting .40 S&W or 9mm with the same gun. But, the 357 Sig is still my EDC. I like it and use it. Best handgun round period. Imo.